Inmarsat C terminals are a good safety resource onboard, providing free reception of satellite safety messages and weather, as well as worldwide text messaging via Inmarsat costing about 1 penny per character(including spaces). The system connects to your laptop via a serial port or USB to serial converter and allows you to send short email messages and even small binary files like photographs, short videos and audio clips. It is useful when all else fails, and you need to get a short message to someone via email from anywhere in the world, when you are out of cellular or GSM mobile phone range. It can also be used for automated scheduled position reporting. The older systems, designed for DOS, require special software like Nebula to be used with PCs running windows. You would need to set up an accounting authority to handle the billing for the service via one of Inmarsat's resellers, for the rare occasions when you might use it. The system is required by commercial vessels under GMDSS certification and provides worldwide distress calling with position reporting. 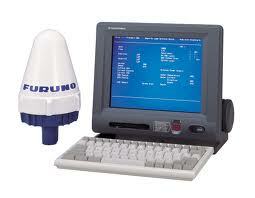 The system has a built in GPS that has an output that can be used to drive a chart plotter or other systems. The system has two buttons, that if depressed for 5 seconds will send an international distress message with the current latitude and longitude. In order to receive email messages, you need to set up permissions for friends and family to send to you. You pay to send and receive, so you don't want any unsolicited mail. 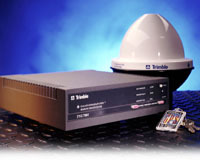 Inmarsat C is quite complicated to use, and it is essential to that your email is in the correct format for it to work. Vizada has a new system called Skyfile C that is meant to simplify the process and allow Inmarsat to GSM messaging. Take a look at Vizada.com for further information. 18556 visits to this page since 28 Nov 2012.